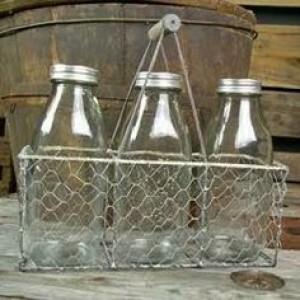 Shop our catalog for milk bottle products! 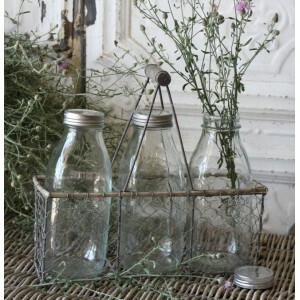 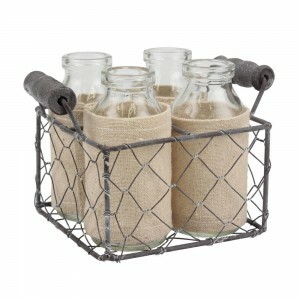 Wire tote with 4 mini milk bottles.. 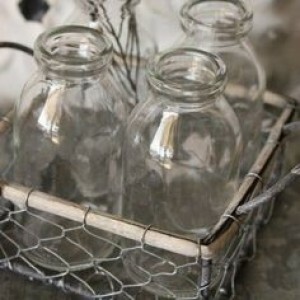 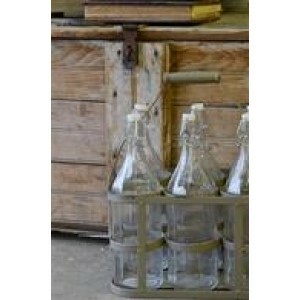 Heavy Metal Crate with Handle with (6) Glass Milk Bottles wi.. 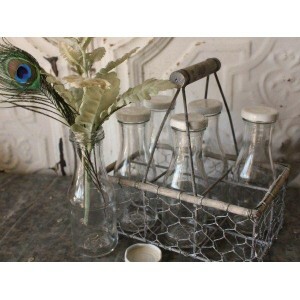 This is a pretty flower/beverage holder that can dress up a ..
4" x 8" x 3" Small Rectangle Wire Bottle Tote..